The debate over whether you can reduce the percentage of body fat in specific areas of your body is not a new discussion, but new information has led to a new conclusion. The old argument is that spot reduction is impossible through exercise, and that when a person loses body fat, they lose it uniformly at first, and that their target “stubborn areas” – those areas that are the fattest – continue to lean out until the individual reaches their goal. Through years of research and practical application, strength coach Charles Poliquin has developed a method called Biosignature Modulation™, a process designed to reduce body fat in specific areas of the body by balancing the hormone profile. The process entails a twelve-site body fat test, which clues the personal trainer in on which hormone imbalances are present. Specific nutritional and exercise protocols are then assigned based on where fat is stored in the body. Curious? Consult with a qualified personal trainer at Physiqology and set up your appointment for a Biosignature Modulation™ session today. Physiqology is located in NYC and the greater metropolitan area, and we have been doing Biosignature Modulation™ as part of our personal training and strength coaching in New York City since 2003, when Charles first introduced the system. In order to obtain accurate results, it is very important to be consistent when taking biosignature measurements. The accuracy of the body fat measurement is dependent on many factors, including the type of caliper used, the time of day the body fat measurement is taken, and the experience level of the personal trainer who takes the measurements. 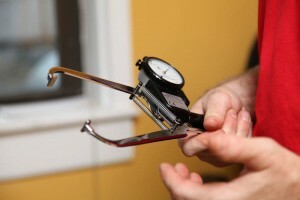 It typically takes a minimum of 2000 trials to develop the touch and experience with the caliper necessary to get accurate readings. Ensure proper hydration. Dehydrated tissue is harder to separate from the muscle layer, so if you are contemplating Biosignature Modulation™ as a method to improve the results of your training or weight loss, start improving water intake. Point six (0.6) oz. per lb of body weight is optimal. Cut out the trans fats from your diet. Trans fats are another huge factor in how pliable your tissue is, because trans fats make your body fat hard. We don’t like to commit murder at the biosignature session, but accurate readings are important. If the sites are hard to take, particularly if the subject is dehydrated or eats a lot of trans fats (fried foods, baked goods, etc. ), we take additional readings, record girth measurements, and take photographs to help track changes in the body fat loss process. Continue reading for a review of the individual sites, beginning with the chin, cheek, pectorals and triceps.